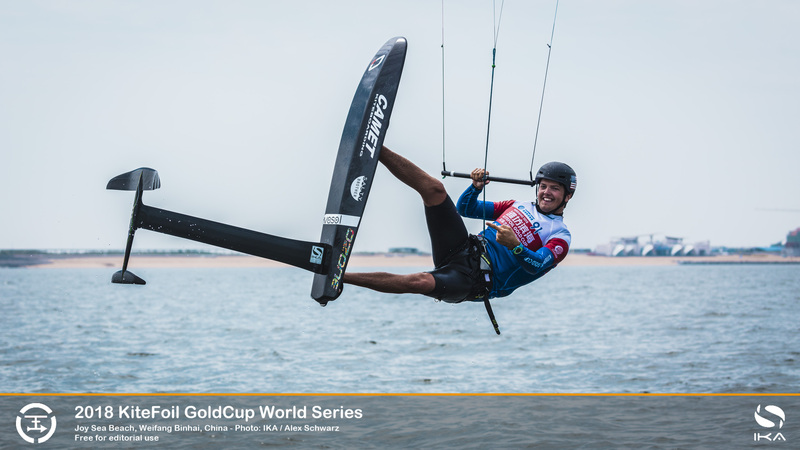 Multiple world title holder, Monaco’s Maxime Nocher, signalled his comeback to form by clinching the opening round of the International Kiteboarding Association (IKA) KiteFoil World Series in Weifang Binhai, eastern China. Nocher’s performance over the regatta’s five scintillating days of competition and a remarkable 22 races was characterised by steady progress that saw him only top the leaderboard on the penultimate day, matched by a cautious error-free final day in which he sealed victory. Reigning IKA Formula Kite World Champion, France’s Nico Parlier, pushed Nocher all the way. He moved steadily up the order as the regatta progressed, taking three wins from three in the final day's 8kts to 11kts breezes blowing over the smooth Yellow Sea track that gave him second spot on the podium. 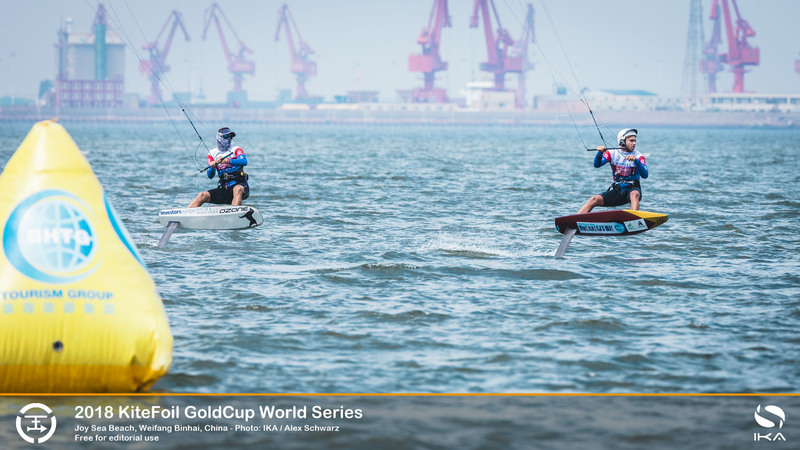 Parlier appeared to struggle for consistency at the start of the tour stop due to a lack of training and unfamiliarity with new kites and foils the racers may use in the “open”, unregulated IKA KiteFoil events. But increasingly-quick and consistent by the close, he narrowed the gap to Nocher. Britain’s Connor Bainbridge paid the price for the growing pace and consistency of both Nocher and Parlier. Bainbridge had a lock on the leaderboard’s top spot for the opening three days and looked unassailable, racking up win after win. But over the final two days of the competition Bainbridge began to falter, surrendering his second spot to Parlier when he posted two low-placed finishes on the final day. Still, the Briton took heart from his dominant early showing and the third podium, his highest-place finish of the year. The trio, among 32 athletes from 16 countries, got to share in the €60,000 prize purse, the richest in kiteboarding, and take a step closer to the IKA KiteFoil World title awarded at the end of the scheduled four-stop tour to the best overall racer. 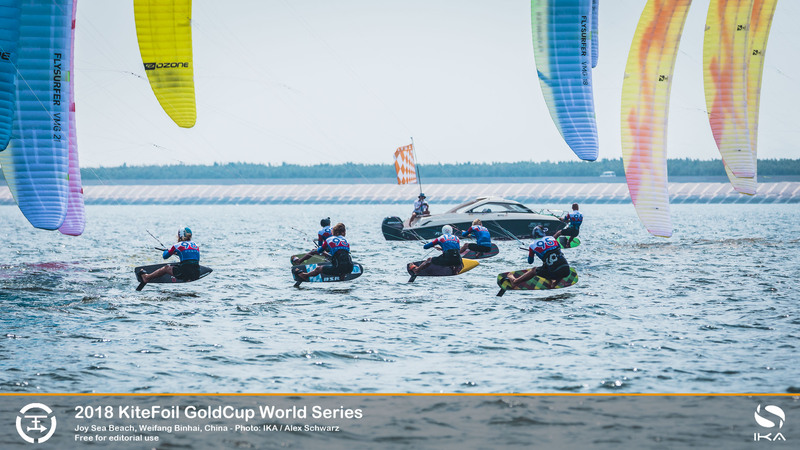 Most of the athletes will travel south to Fujian province’s windy Pingtan island for the second of back-to-back KiteFoil World Series stop in China next week, where another $40,000 of prize money will be on offer. 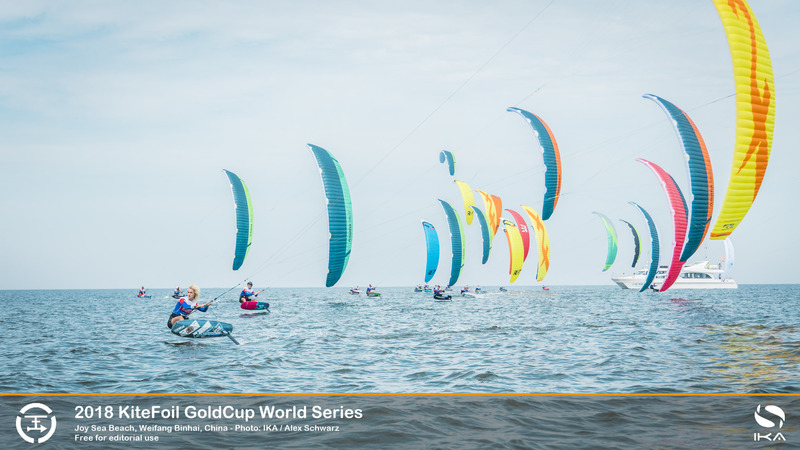 In the women’s group, which raced together with the men, the US’s triple Formula Kite World Champion, Daniela Moroz, still just 17, bested her rival, Russia’s Elena Kalinina, and took 16th spot overall in one of the highest-level kitefoil fleets ever assembled. Perhaps one of the biggest disappointments was for Britain’s Guy Bridge. After a faltering start, the teenager looked untouchable at the mid-point and briefly held the top ranking, only to see his campaign come unstuck with some bad luck that put him down to fourth overall, just ahead of older sibling, Olly Bridge.